Today, more than 1 billion people are spending at least four hours of their workday on email. At the same time, we depend more and more on collaboration to get work done. Yet, there’s been very little innovation to make it easier for teams to work together on email. At Front, we’re tackling the audacious challenge of reinventing email for the way teams work. Bringing organized collaboration, accountability, and transparency to email, we give teams one place to focus and save time getting work done. Nearly 5,000 companies are saving an average of 6 hours per person each week with Front. And we’re confident Front will revolutionize work for more teams across the globe. That’s why today we’re introducing lower priced plans and new ways for teams to accomplish more with Front. Our team began reinventing email by introducing the first shared inbox, which helps teams — a client service team, an operations team, etc. — manage business email accounts (like contact@). For the first time ever, we made it possible to write internal comments on emails, assign emails to teammates, and edit shared email drafts. We enabled teams to efficiently work together without ever needing to leave their inboxes. Nearly half of Front admins report that since using Front, their teams are now at least 30 percent more productive every day. But the benefits don’t stop there. Front makes teams more collaborative and transparent, too. Eighty-five percent of Front admins reported that Front increases collaboration across teams. Ninety-one percent believe Front has helped their organization be more transparent, and as a result, more efficient and effective. Our customers have taught us that the power of Front goes well beyond shared inboxes. Across organizations everywhere, employees inefficiently work in silos and in separate tools to manage day-to-day operations, collaborate internally, and communicate externally. Front can bring efficient email for teams to all 1 billion people using email at work. We’ve reshaped our pricing packages to offer all Front plans for up to 40 percent less than before. Now, organizations of all sizes can experience efficient email for teams by using Front for as little as $9 per user per month. With each of our new pricing tiers — Starter, Plus, and Pro — we’ve unlocked more collaboration and productivity features than ever before. Large organizations can manage hundreds of shared inboxes in Front. Teams can build more efficient workflows by connecting their own tools into their inbox using Front’s API. 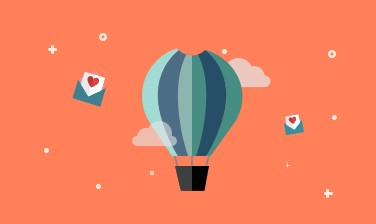 Leaders can finally gain visibility into the work getting done in email across their teams. We are also introducing light users, a more affordable license that provides Front’s benefits of collaboration, accountability, and transparency without needing to work in a shared inbox. Light users can manage their individual email more efficiently, collaborate with teammates via @mentions and assignments, and be invited to comment or edit drafts in any conversation in Front. Previously, to loop someone from a peripheral team into an email conversation — say a finance manager for help with a billing question or a product manager to file a bug — a Front user had to resort to forwards, CC’s, or chatting in a separate collaboration tool. Now, with more collaborators as light users, they can be brought right into a conversation in Front, no painful extra steps required. In the coming weeks, Front users will be able to extend the power of Front to anyone they communicate with. They will be able to invite people from outside their company —partners, vendors, clients, and more — into individual Front conversations so they can collaborate immediately, instead of slowing things down with email forwards and CC’s. A freight broker at a logistics service provider can quickly bring a carrier into the details of a last-minute job request to confirm it can be fulfilled. People are feeling more overwhelmed by their email and work than any generation before. We believe Front can be a great start to solving this problem. With a more efficient and organized way to collaborate and manage email, teams can save time, be more focused, and accomplish more together. If you’ve ever thought email should fit into the collaborative way your team works, now’s the time to give Front a try.